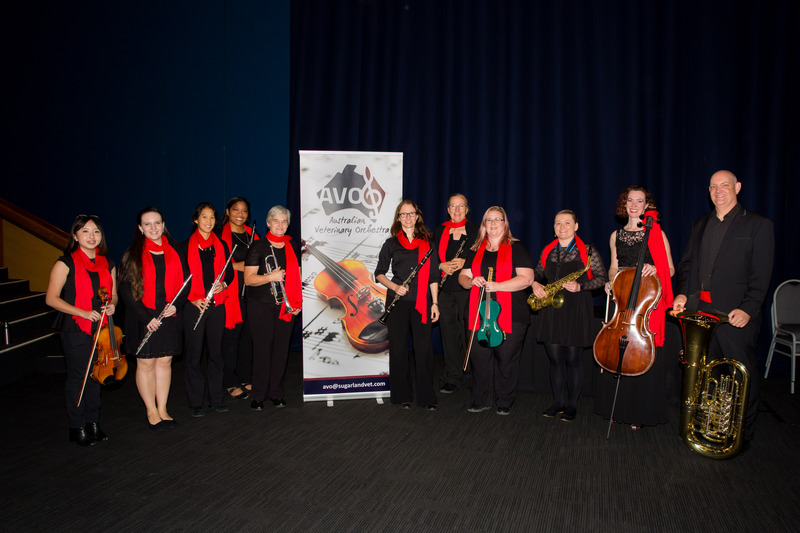 In May several veterinarians from across Australia – all part of the Australian Veterinary Orchestra (AVO) – joined forces with the Brisbane Philharmonic Orchestra to perform at the AVA Charity concert at the Brisbane Convention and Exhibition Centre. The AVO first performed at the AVA Annual Conference in May 2014. The orchestra was established by Mike Woodham, owner of Sugarland Veterinary Clinic in Bundaberg, Qld, with a mission to enhance veterinarians’ wellbeing through music. Music played at the concert included a solo entitled Tuba Concerto, Effie Suite by Alec Wilder, the overture from Rossini’s The Thieving Magpie, and Tchaikovsky’s fifth symphony. Funds raised by ticket sales donated to the AVA Benevolent Fund. The AVA Benevolent Fund aids veterinarians and their families who find themselves in difficult circumstances. The emphasis is on practical support to those affected by illness, accident, or who have fallen on tough times. The AVO will perform at the 2019 AVA Conference in Perth, WA. If you are interested in joining the AVO, please visit them at Australian Veterinary Orchestra Facebook community or email Mike Woodham at avo@sugarlandvet.com. PREVIOUS POST Previous post: 2018 AOVet Courses. Spots filling fast!